A great way to remember your visit is a nice Delft souvenir. 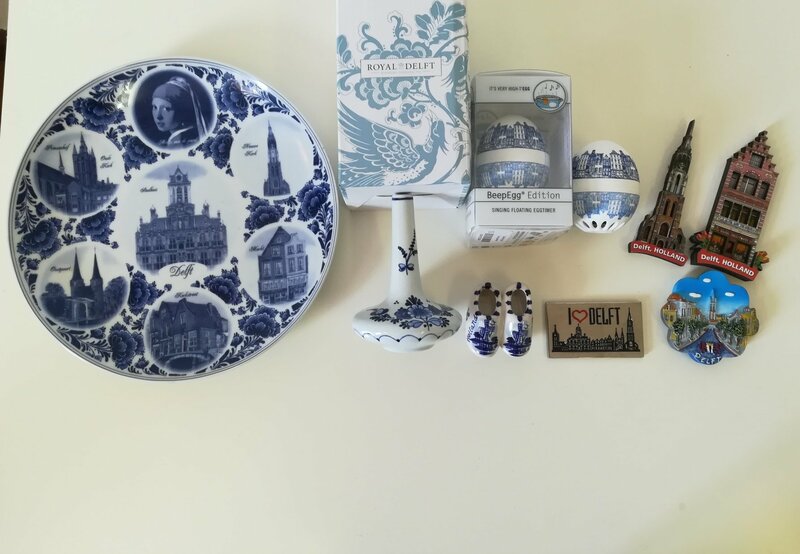 We offer a lot of different typical Delft items, such as 2 small Delfblue clogs on a ribbon, magnets, Delftblue plates with pictures of the Delft highlights, the Delft Beepegg (an egg timer - a real gadget, which works perfectly anywhere around the world) and even handmade and handpainted Delft blue ware from the Royal Delft factory. Souvenirs can be given to you by our guide. It is also possible to pick them up at our office on appointment or the send them to you (on payment of the shipping costs).